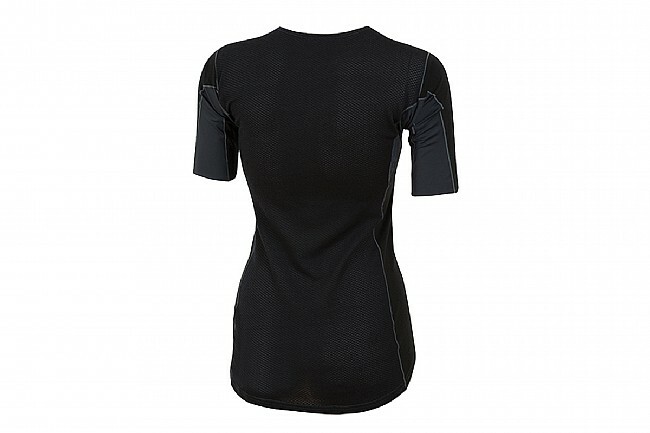 Pearl Izumi's Women's Transfer Wool SS Baselayer combines high-quality Merino wool and moisture-wicking polyester in a strategic blend for exceptional performance. The women's-specific cycling shape, elongated short sleeves, and soft merrow seams create a warm and comfortable internal environment that holds up in cold weather. Temp. Range: 40° to 70°F.